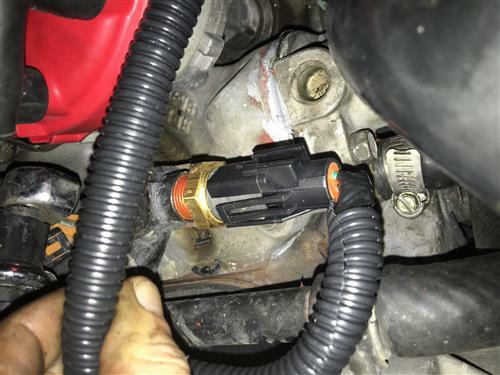 1983-1995 Mustang Coolant Temperature Sensor pigtail will repair your broken connector! A fundamental part of regulating air/fuel ratio, ignition timing, and EGR flow, the coolant temperature sensor is located behind the thermostat housing on the intake. 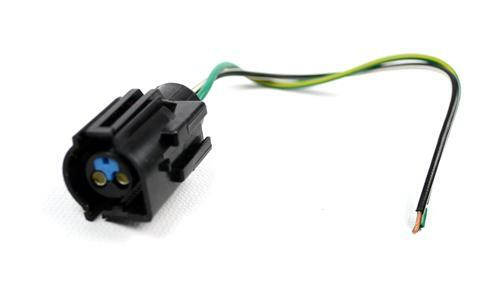 This 5.0 Resto coolant temp sensor connector will replace a broken connector so that you can once again connect your coolant temp sensor. A malfunctioning Mustang coolant temperature sensor can provide false information to your Mustang's computer that could cause anything from erratic idle to catastrophic engine failure on your Mustang Engine! 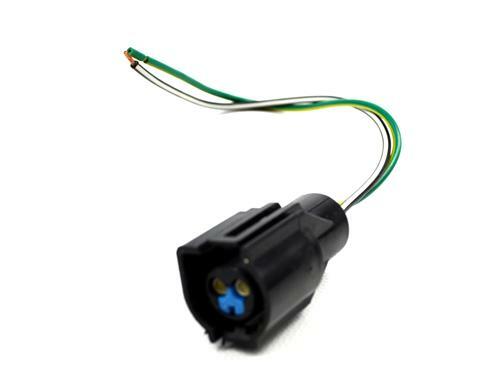 Make sure that it is connected securely with this coolant temp sensor connector.